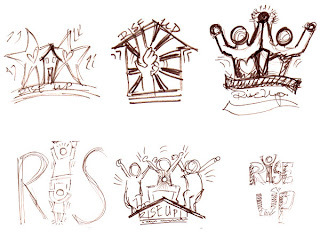 I did my first pro-bono graphic project recently. 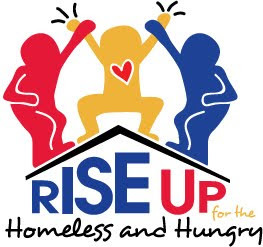 I had the honor of creating the logo design for the first major fundraising event being produced with the Phoenix Philanthropists: Rise Up for the Homeless and Hungry. This event is meant to bring awareness and action to the homeless and hunger situation in the Phoenix metro area. The event will be a 24-25 hour marathon of standing out in the heat of the Arizona summer to bring awareness and show people what it is like to deal with the extreme summer elements here. Proceeds and food donations will benefit St. Mary’s Food Bank and other donations, like clothing, will benefit Children First Academy. I am so happy to have been able to help out. Working with Thomas, the event organizer, was a real pleasure. He knew just what he wanted to convey and is so passionate about this event and for his community, it was very humbling.